Located along Seah Street, if you are finding a place to chill after a hectic day at work, you may consider Mr Punch Public house! Download Grabzsg to enjoy 1-1 main and purchase a bottle of wine for only $30! Definitely a good munch while chit chatting with your friends! The better ones are slow-cooked Pork belly and chicken thigh Roulade. Pick any 3 items in the platters menu for $35! If you are not satisfied with small bites, Mr Punch got it covered! Wagyu Beef Burger [$24] Beef patty was pretty juicy and tasty and it would be perfect if the bun is not so hard. The truffle fries can be better as the truffle taste is too mild. 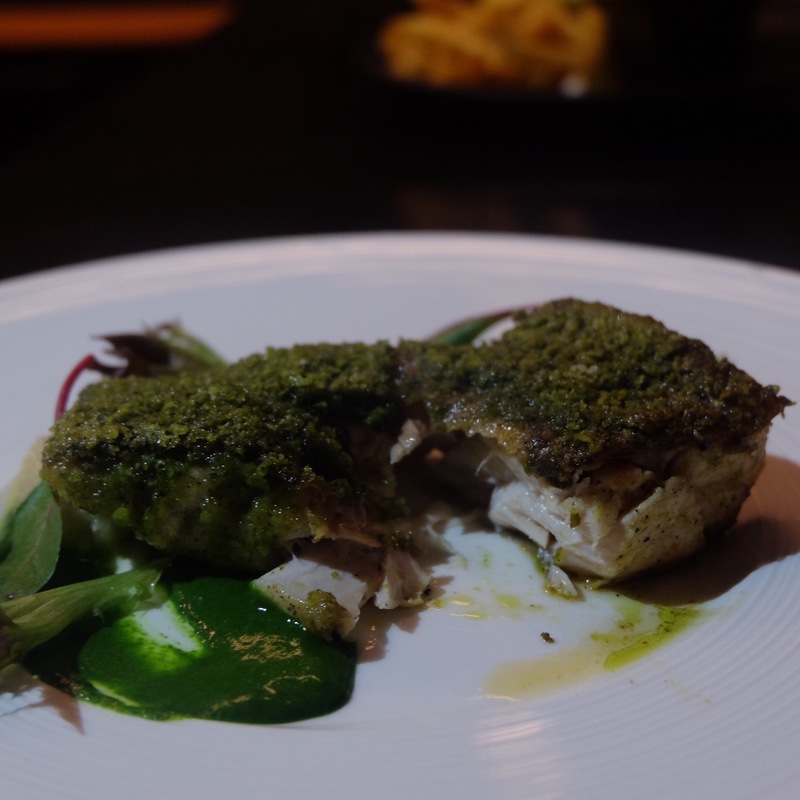 Barramundi coated with tarragon puree and home-made beetroot gel. 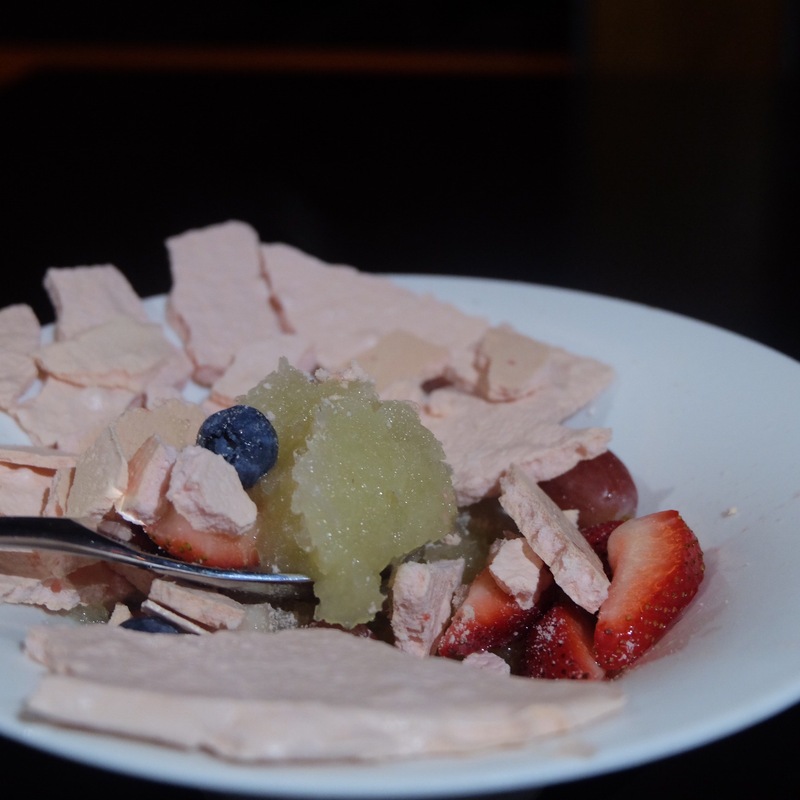 Yuzu Grape Granita[$14] Fresh berries with grape skin meringue. The texture of the Meringue makes me feel like eating the traditional childhood biscuit. Very refreshing. The yuzu is quite mild. Passionfruit Creme Brulee[$14] Passionfruit Creme brulee in the Mango skin atop mango fruit and almond crumbs. Sour. 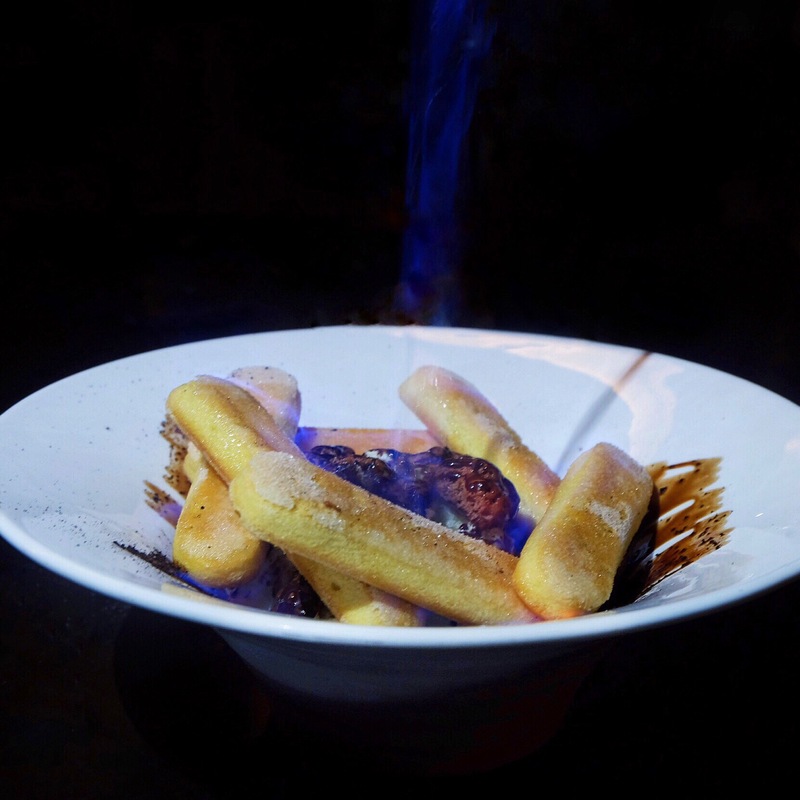 Flaming Tiramisu[$16] Flaming tiramisu has a strong taste of rum. Not the traditional tiramisu we have in case you are wondering.